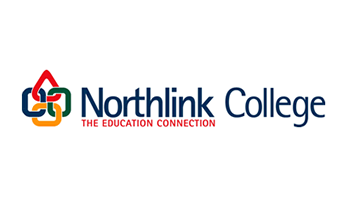 A co-operation agreement between Transnet Soc Limited and three colleges in the Western Cape namely Northlink College, West Coast College and False Bay College was signed on 31 October 2013 and directly broadcasted on Morning Live, SABC 2 during the launch of the Transnet NSF Project. Dignitaries who attended this prestigious function were amongst other Education Minister Blade Nzimande, Public Enterprise Minister Malusi Gigaba, Human Settlements Deputy Minister Zou Kota-Fredericks and Transnet board member, Yasmin Forbes as well as the three FET College CEOs, Neil Maggott, Cassie Kruger and Osma Jooste-Mokgethi. In her opening address Yasmin Forbes, board member of Transnet, applauded Minister Gigaba and Minister Nzimande for considering Transnet as a pilot for this programme. “Economic growth through world-class training, job creating and skills development is crucial and Transnet declares their full support,” commented Forbes. The aim of the co-operation agreement is to create a common understanding regarding inter alia the training requirements including inter alia recognition and accreditation of facilities and capabilities in keeping up with developments with regards to the National Qualification Framework (NQF) and a curricula for training. Taking into account the facilities and activities of the various role players in the training field namely the FET colleges, universities of technology and universities, there is scope and a clear role for Transnet to participate in this field particularly given the technical advances of training. The objectives of this agreement between Transnet and the three FET colleges serves to provide a framework and mechanism for co-operative activities of mutual benefit of the involved parties and in support of the objectives of the NQF as well as the development of skills training. 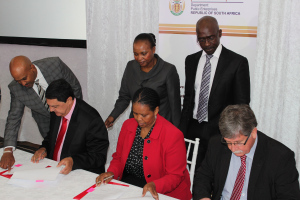 It also serves to collaborate with Transnet Engineering in establishing regulations for technicians in South Africa and capacity building of such; collaborate with the Department of Labour in establishing funding solutions or options; collaborate with the respective SETA in registering programmes and discretionary grants as well as to ensure capacity building of a core team of practitioners to serve developmental work within the industry and where necessary by mutual agreement engage other role players as may be identified from time to time. As far as training is concerned, the objectives state that FET college lecturers will be equipped with relevant skills and knowledge to meet the demand of industry via skills training. Transnet also undertakes to create opportunities for lecturers to acquire relevant occupational work experience in the form of job shadowing and work placement during college recess periods. The concept, “Adopt a lecturer”, will be implemented in order to bring the lecturers closer to the industry by giving them exposure to the latest trends and technology in the industry. Objectives regarding the three colleges’ students include increasing opportunities for job placements at Transnet, its subsidiaries and parastatals; recruiting of the top students for specialised training and possible employment; workplace experience opportunities for NC(V), NATED N1 – N6 Engineering and NATED N4-N6 Business and Utility studies learners as well as On Course and Exit Course placement opportunities. Collaboration and sharing of best practice in the area of Education and Training relative to the quality of training delivery and learner competencies is the third objective of this training initiative. Best Practices are not only limited to academia but extended to best business management practices as well. The fourth objective of the training during this partnership period is the joint offering of learning programmes and lastly, student awards will be allotted for best performing Engineering student offered by Transnet South Africa. It is strategically imperative to increase the number of artisans trainees in Structured Learning Programmes within Transnet which will contribute more strategically to the government’s plan to produce 10 000 artisans per year. Also important, is to facilitate opportunities for college lecturers to be placed at Transnet in order to work with them to improve pedagogical approaches to vocational and technical skills training at college and Transnet. Furthermore, Transnet would like to provide the opportunity for exposure of the colleges to Transnet subsidiaries, other parastatals and any other relevant company. Joint uptake of projects when identified. Have access to workforce and economic data analysis relating to business and industry in the region. Benefits for Transnet will include a pivotal grant, tax incentives, recruitment, PRL assessment and trade testing. Zukile Mvalo, Chief Director: WIL, DHET, mentioned that at least a 1000 artisans will be trained for this project only. “2013 was declared the year of the artisan; now government is in the process of declaring 2014 – 2024 as ‘A decade of artisans’,” he said. He challenged the private sector and FET colleges to work together to develop the youth of SA. “Where we empower, we will never go wrong!” He congratulated Transnet for the initiative and thanked the NSF and DHET for making R7,66 billion available over the next seven years. Zou Kota-Fredericks, Deputy Minister of Human Settlements concluded the proceedings by thanking everyone. “I am excited to be part of this initiative, especially training young people. This was in the mind of our icon OR Tambo and former President Mandela. We would like to partner with many more colleges in the country,” she added.